How does one make kitchen storage interesting? 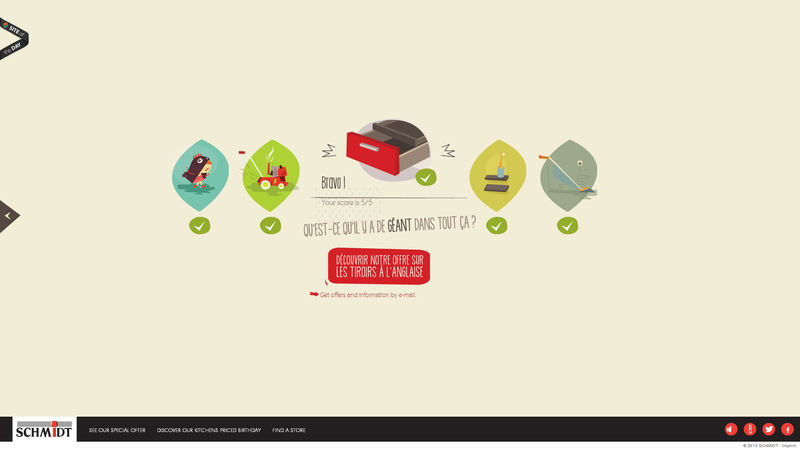 Simple, make a fun interactive pop-quiz with amazing illustrations in it! 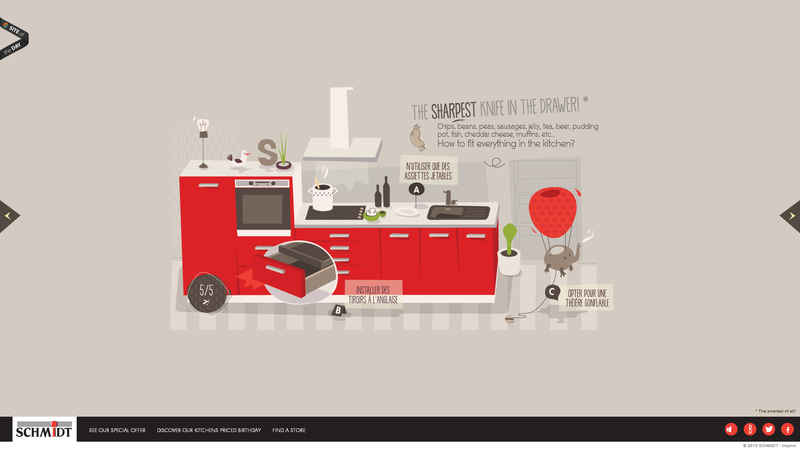 In this edition of Awesome Web Design of the Week we are going to check out Schmidt Kitchens pop-quiz. Quirky, cheeky and absolutely fun! 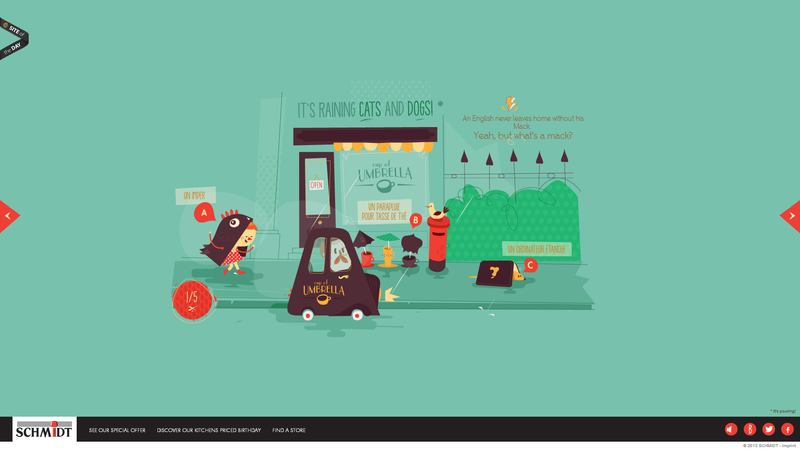 That is what we are featuring in this edition of Awesome Web Design of the Week. This week we are going to learn a bit of history as we go through some British inventions that has transformed our everyday lives at home. Schmidt Kitchens is a French kitchen storage provider based in Alsace, France. While the brand may not appeal to most, unless they are interior designers who have a strong affinity to beautiful kitchens. The brand has successfully placed their name in the map with 50 years of service and in that 50 years they have established 21 customer advice centers around the world. On top of that the company has branched out and they now offer bathroom and home-living services. In order to appeal to prospective clients and lead them to a special page that gives a special discounted promo Schmidt enlisted the help of design studio Oliv and Pop to create a fun interactive quiz site. The quiz is about the many inventions of Englishmen and how it has affected our modern life. Cheeky and clever, the quiz is entertaining and very much informative at the same time. 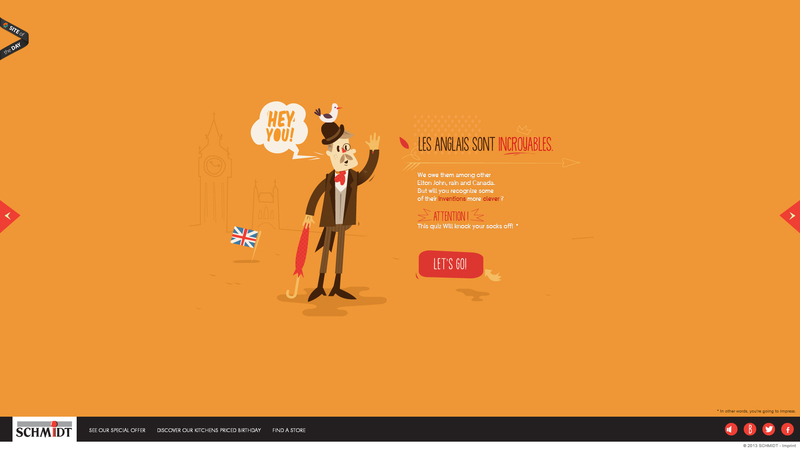 The website features quirky illustrations accompanied by some good ol’ brit pop tracks. 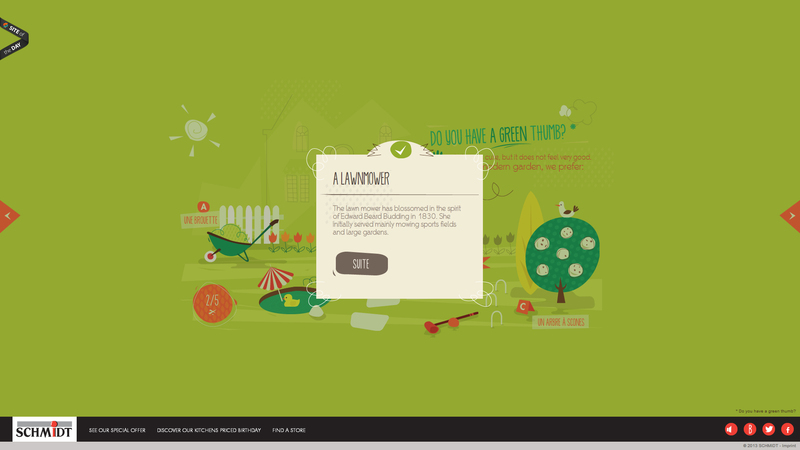 The website utilizes HTML 5 technology to animate the quiz and create smooth transitions from one question to another. What we also like is the fact that despite the luxury and the serious tone of Schmidt’s branding they where able to place their brand as something fun and was able to easily transitioned from the quirky fun vibe of the quiz to the serious but friendly tone. What do you guys think of the website? How about the illustration? We would like to hear your thoughts at the comments below!